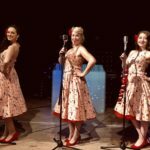 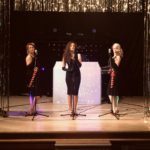 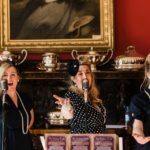 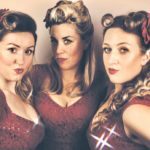 Meet the fantastic singers who comprise our vintage trio and our super stand-ins! 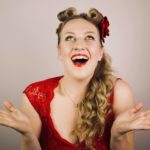 …is a graduate of the University of Aberdeen where she studied music teaching before earning a place at the Royal Academy of Music in London on the post-graduate musical theatre course. 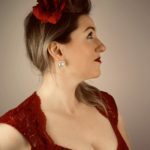 Susan has been a professional singer for many years and enjoys singing in an array of styles and genres and is very excited to be the founding member and one third of The Vintage Girls! 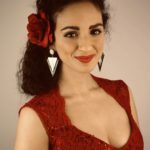 She has worked with many industry professionals including Brian May and Jason Robert Brown and has performed as a singer, and actress in varying roles throughout her career. 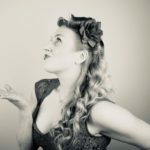 Susan loves to delve into the world of close harmony singing and all things vintage and retro! 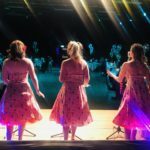 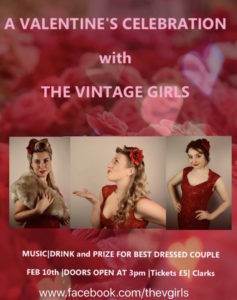 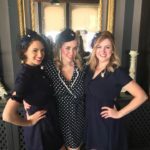 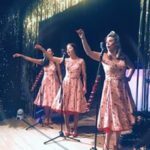 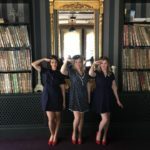 …is very excited to be a member of The Vintage Girls, having idolised vintage music and fashion from a young age. 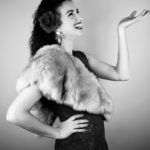 Aside from her day job as a psychologist, Mia currently works as a piano and singing teacher, and performs at gigs regularly. 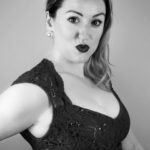 Mia also has a love for musical theatre, having played Aida in Elton John & Tim Rice’s Aida, Bonnie in Bonnie & Clyde and Cinderella in Cinderella the Pantomime. 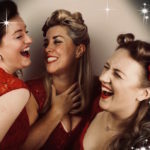 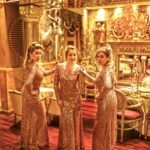 Mia is thrilled to be a part of this musical venture with her Vintage sisters, having grown up listening to the classics from The Andrew Sisters, The Supremes and The Rat Pack. 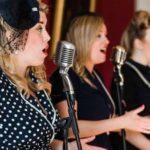 She enjoys taking the Chattanooga Choo Choo with you to the golden era of popular music – roll on the polka dots and red lippy! 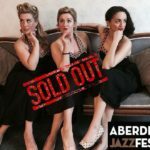 …is a Music Teacher from Dundee. 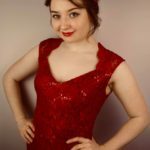 Trained at the Royal Scottish Academy of Music and Drama, Eve specialised in trumpet and vocal studies and enjoys playing in orchestras and bands in the North East of Scotland. 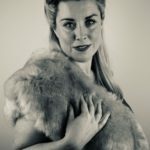 She has even played in the Royal Albert Hall in London and for the King of Norway! 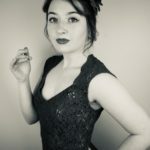 Eve has gained experience in dance and produced and featured in amateur musical theatre productions such as Joseph and his Amazing Technicolour Dreamcoat, High School Musical and Hairspray but normally prefers a background role in the dark band pit! 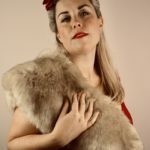 It’s all change now as a lead Vintage Girl!